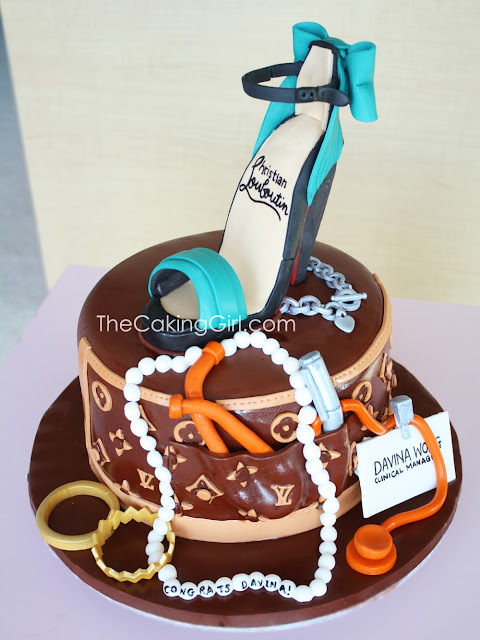 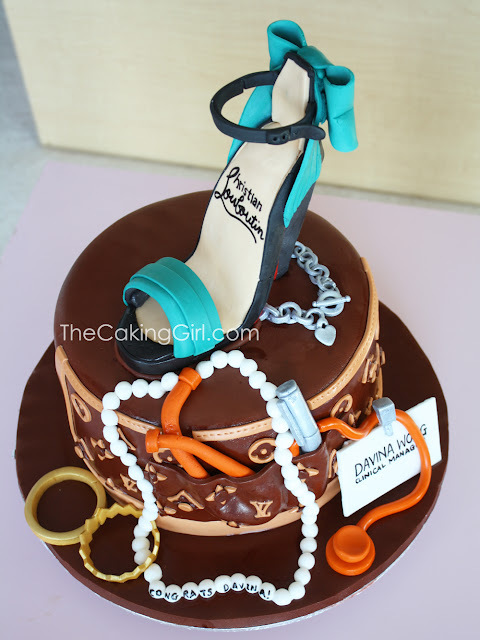 A Louboutin heel on a Louis Vuitton cake, there's also an edible Tiffany bracelet and other accessories. 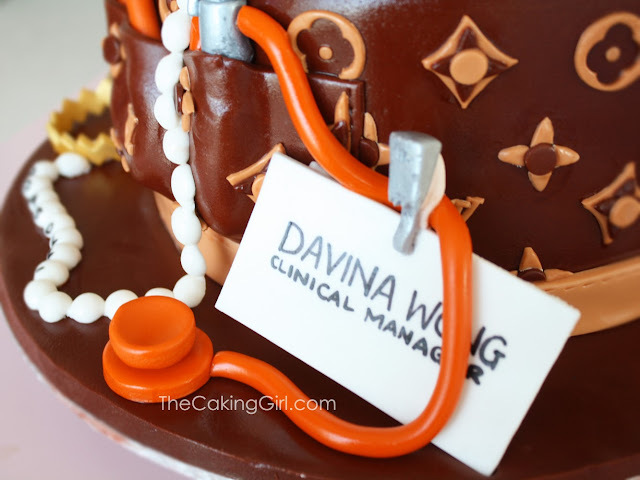 The cake is made for a doctor's promotion as a clinical manager. 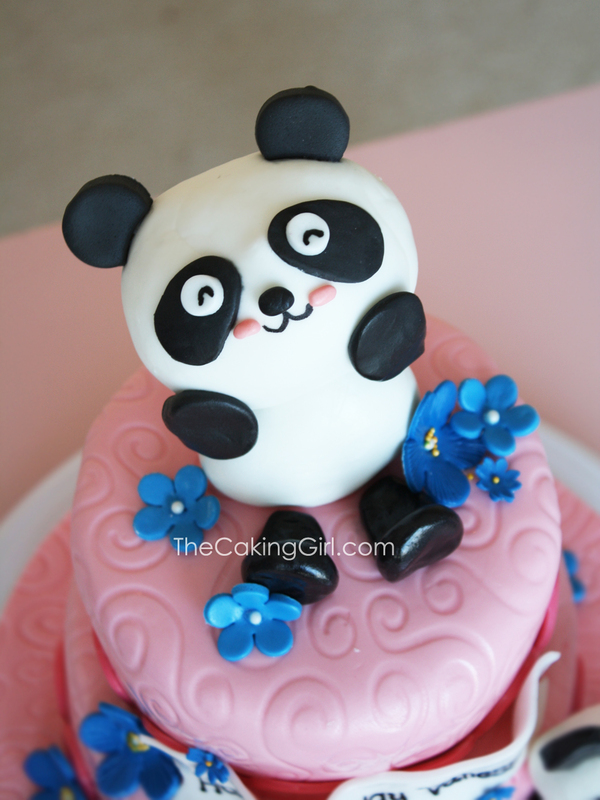 This cake had so many details, it took a long time but I was so happy with the results when I finished! 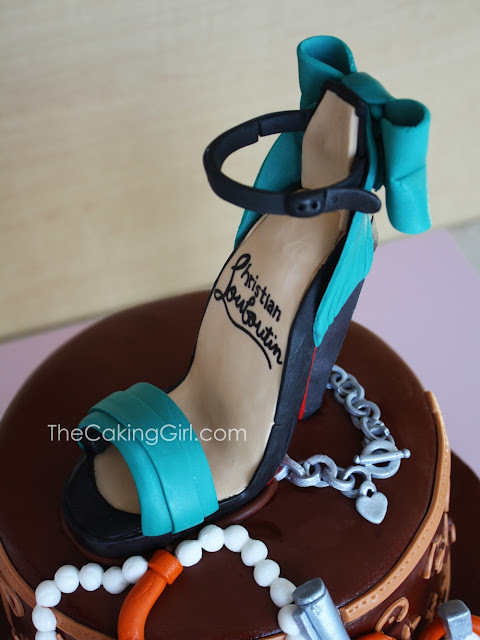 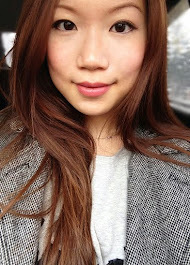 Close up of the Louboutin heel. 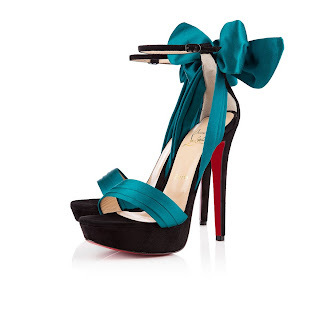 I was googling around for a pair of Louboutin heels for reference and fell in love with this pair! 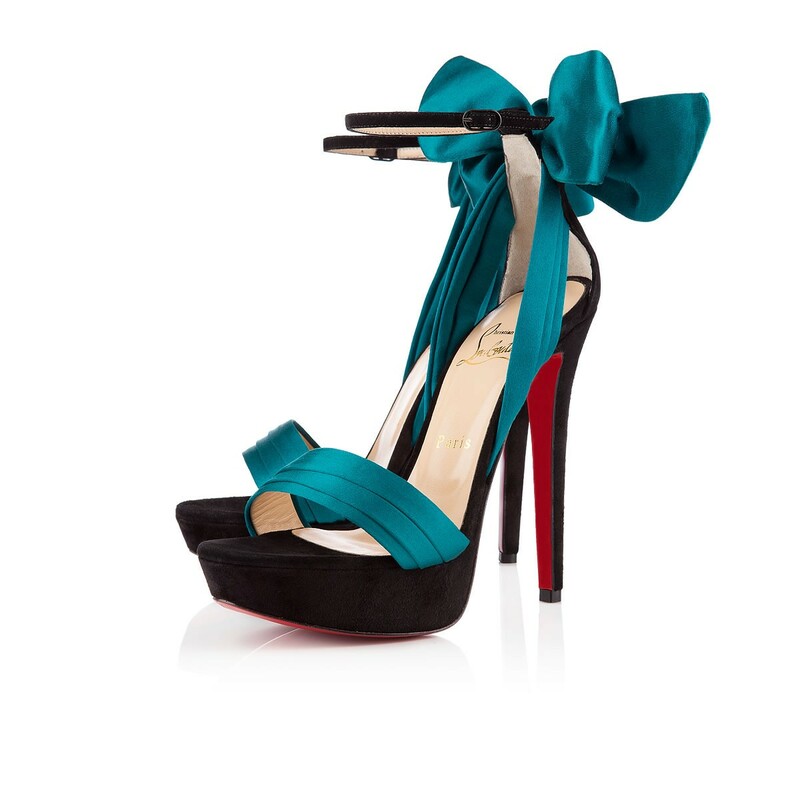 I'm a sucker with anything with bows, and I thought the turquoise would complement the LV brown really nice. Close up of the LV pattern, probably the most time consuming part of this cake design. 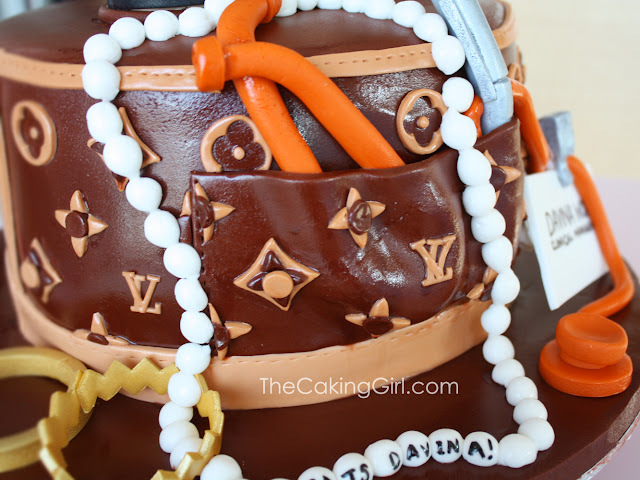 I used letter tappits to create the LV, the other shapes I had to use circle cutters and exacto knife to cut. 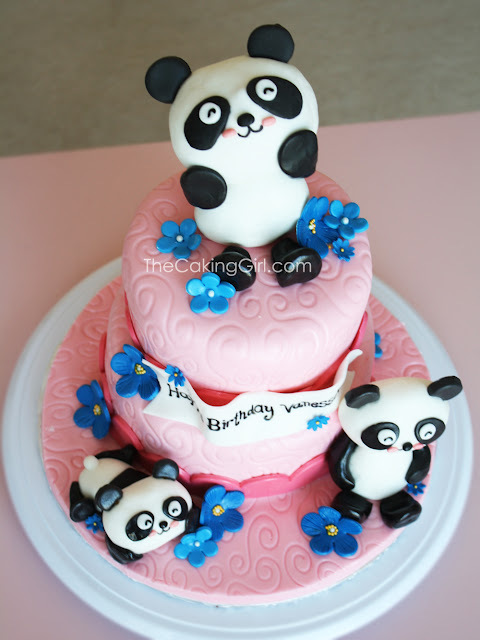 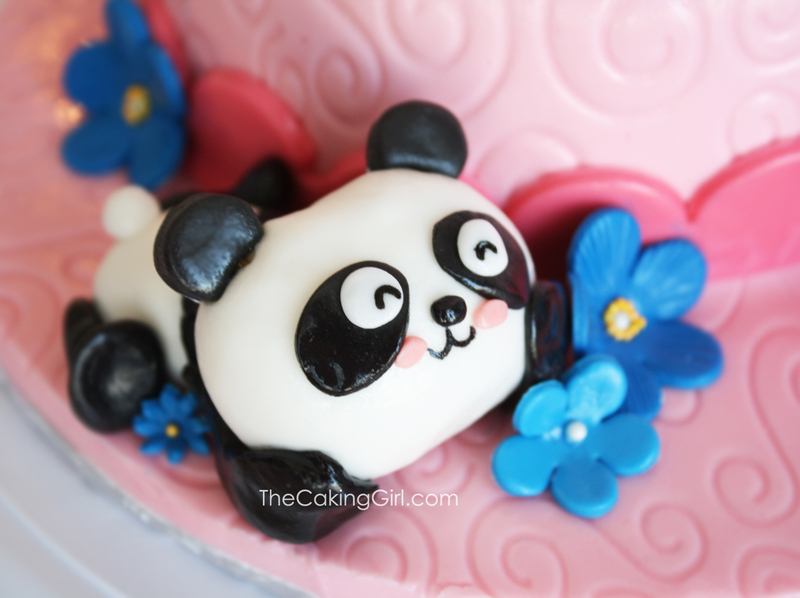 Panda birthday cake for a panda lover! Donated this cake for a Daycare fundraiser. 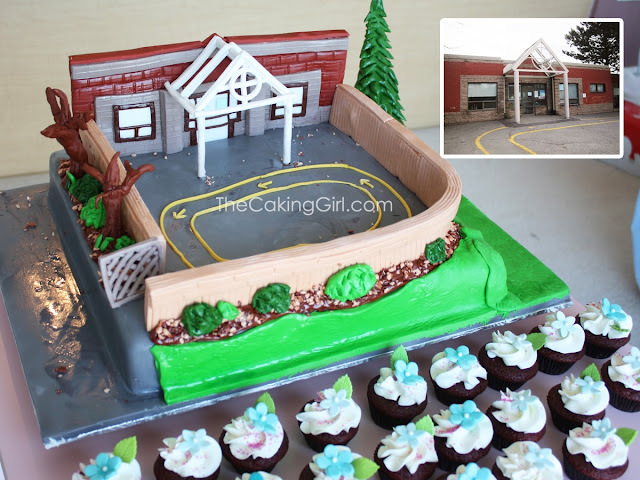 That's the photo of the daycare up in the corner. 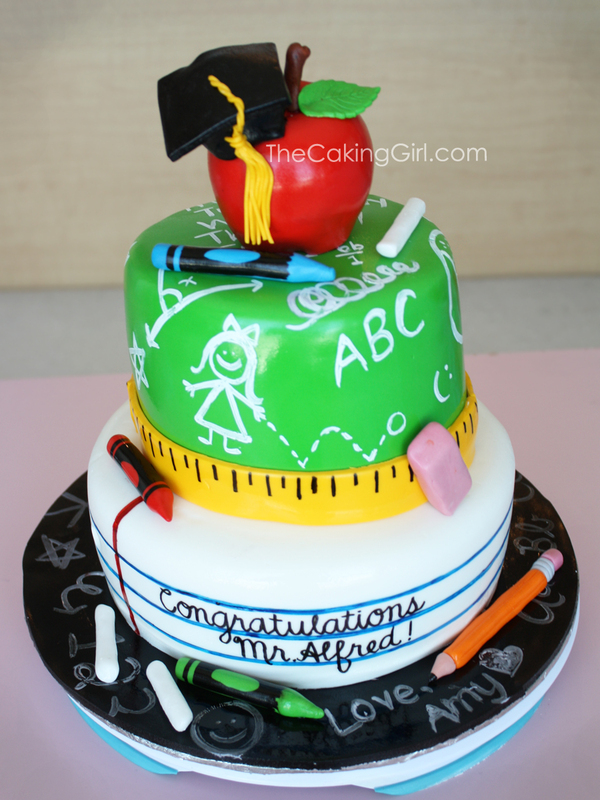 This is a teacher celebration cake, it was made for someone graduating teacher's college. A twinkle twinkle little star baby shower cake. 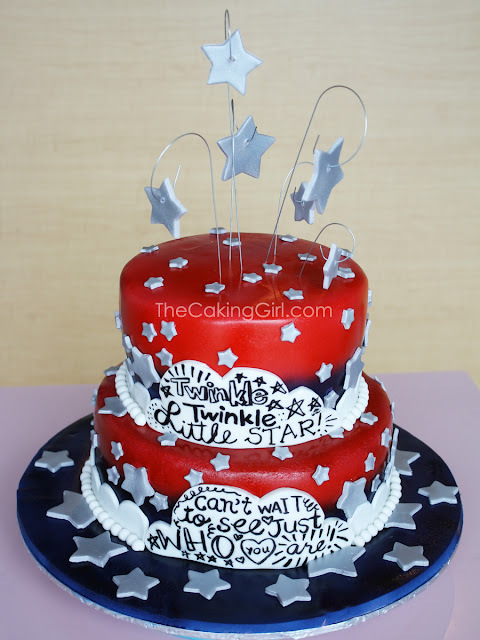 Star Wars Cupcakes!!! 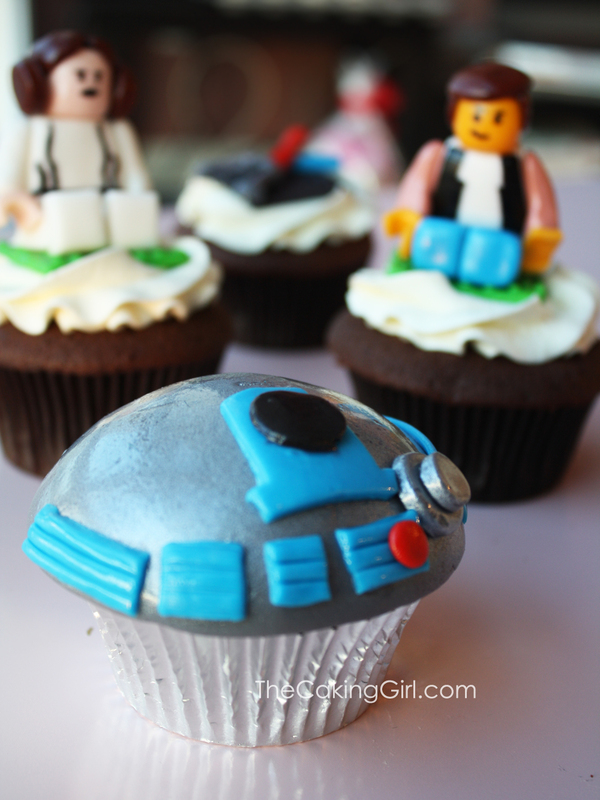 R2D2 Cupcakes! 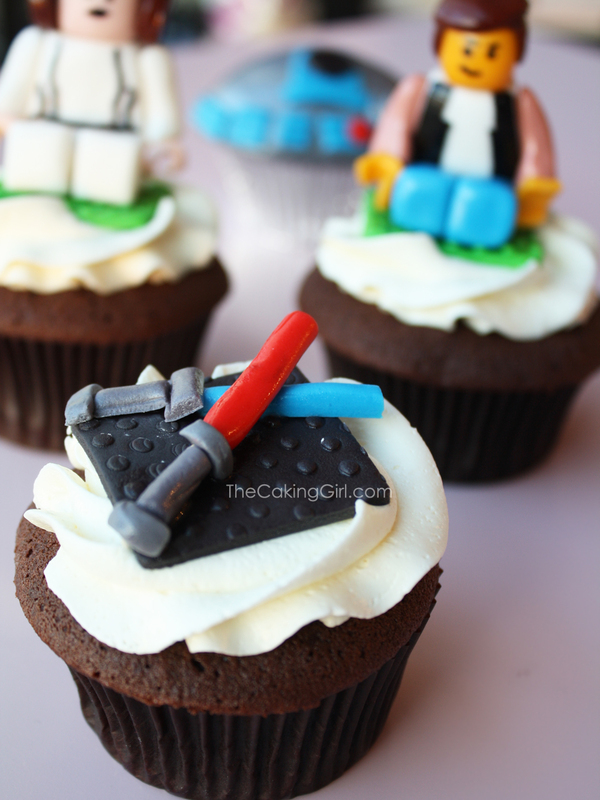 Star Wars Cupcakes!!! 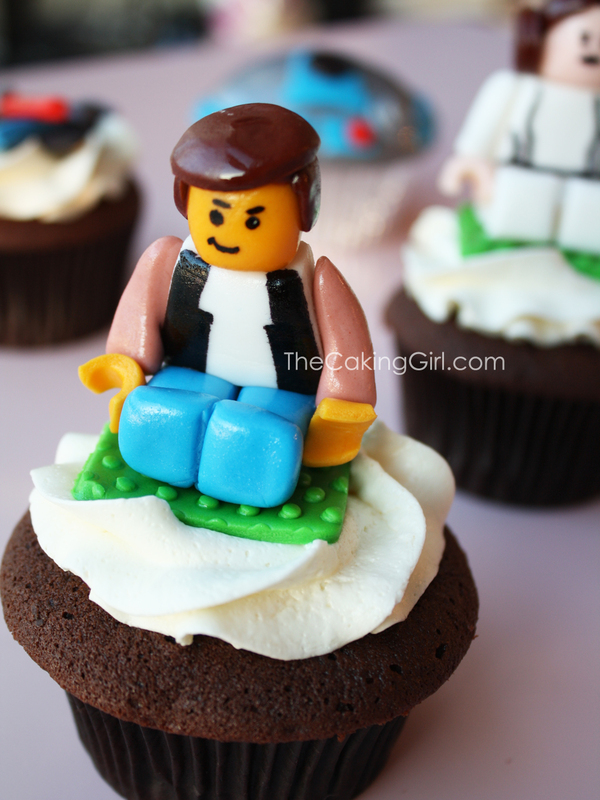 Star Wars Lego cupcakes! 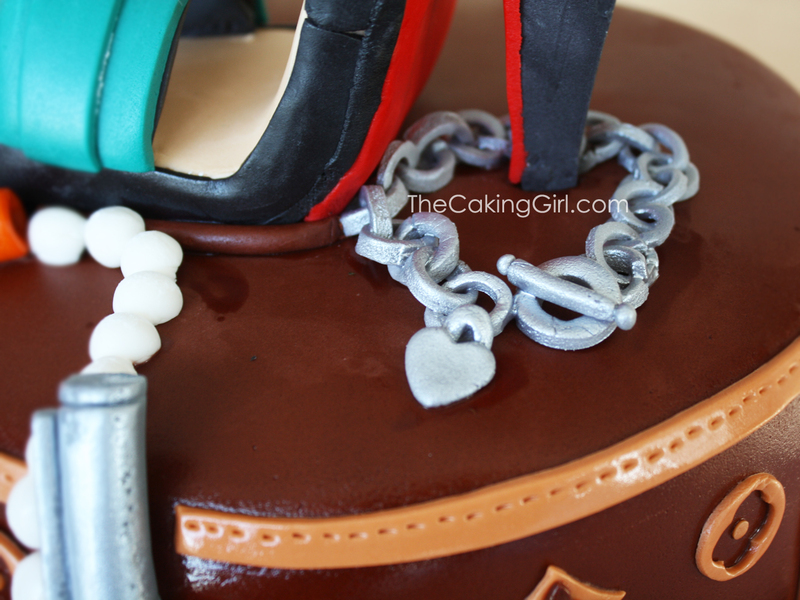 Star Wars Cupcakes!!! 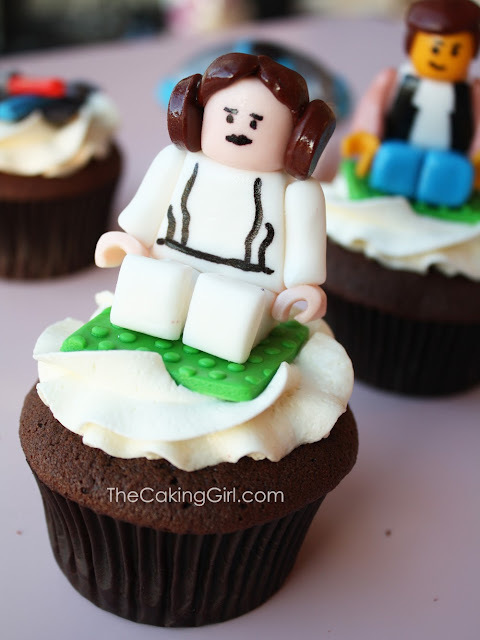 Princess Leia Lego Cupcakes! Star Wars Cupcakes!!! 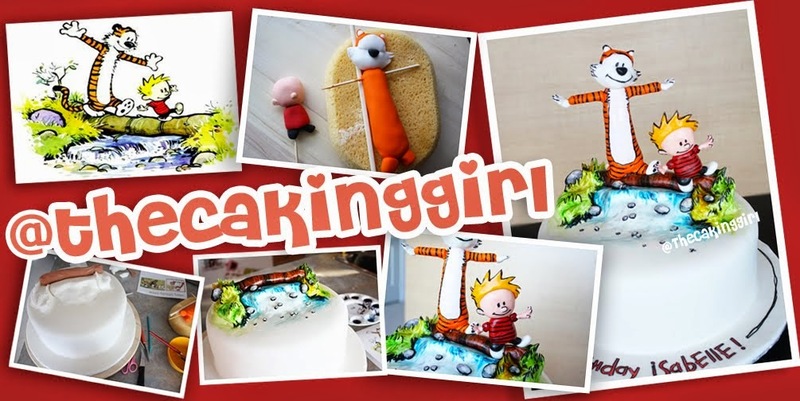 Life Saber Cupcakes!